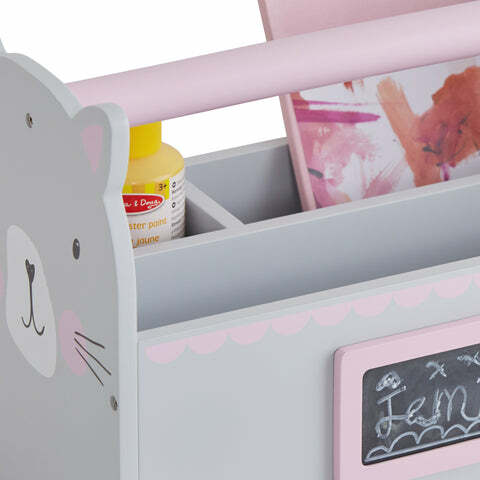 Carry Caddy, Miss Cat | Great Little Trading Co.
Children will love carrying all sorts of things about in our Miss Cat Caddy, from books to teddies to favourite pencils. 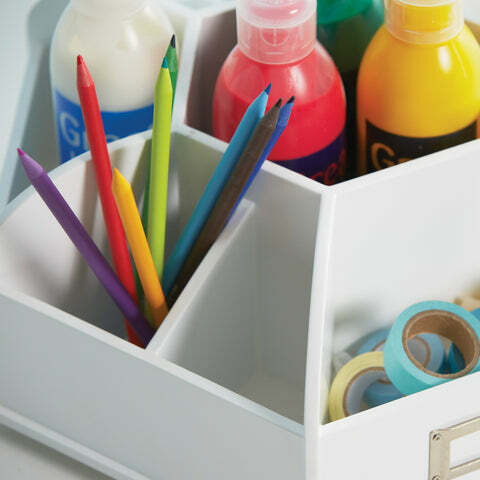 But it's also perfect for keeping art supplies, pens and stationery tidy; it's ideal for kitchen table art or homework. 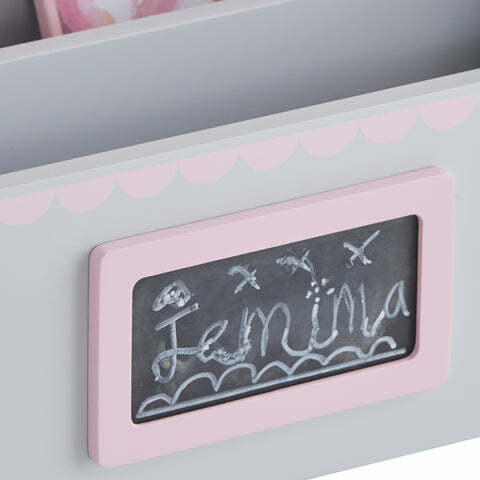 It's made of thick, painted MDF; it has three storage sections and a blackboard label. To keep writing surfaces clear and uncluttered have a look at our bestselling spinning desk organiser and our wide range of children's desk accessories. Alternatively take a look at the rest of our Miss Cat range; choose from our book storage cart, child's apron and swim bag.